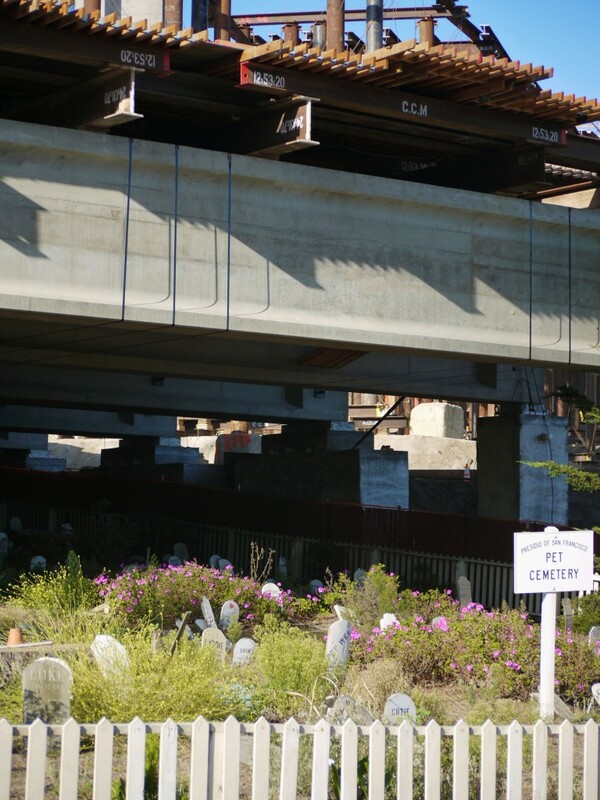 The Presidio Pet Cemetery has been covered with a section of bridgework, leaving most of the graves in deep shade. Presidio Pet Cemetery is now covered over. This new roof will kill all the vegetation, leaving this a baren little plot. Seems a shame, but it is clear that the protection of this little cemetery was planned into the construction project. The challenge will be making this a welcoming and peaceful place after the new Doyle Drive is up and running. 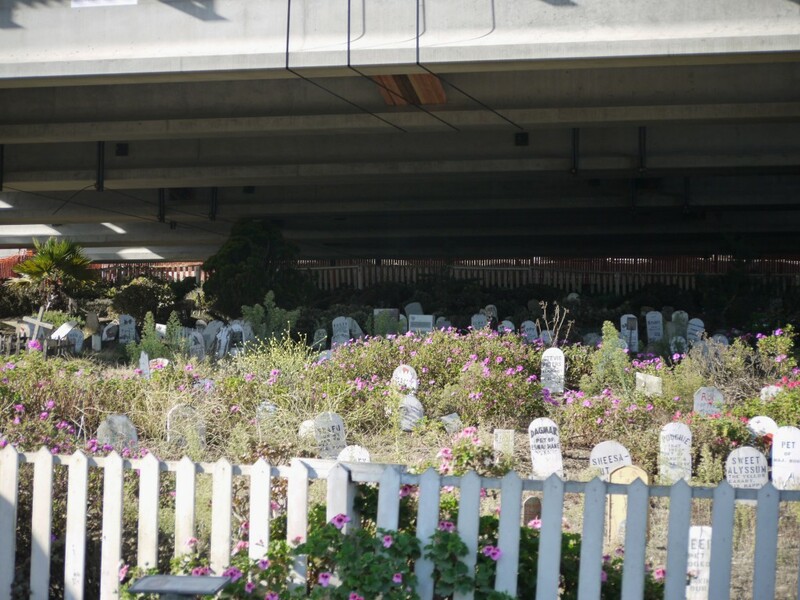 For more on the Presidio Pet Cemetery, see this older post.